This project is as fun to make as it is to use. The teapot has a removable lid, and you can make a cup and saucer for every guest at the tea party. Since it's all made from fabric it's more or less unbreakable. It's a great use for scraps of broadcloth or the fat quarter set you've been keeping aside for something special. The set is smaller than real life, but it's easy to scale if you want to. 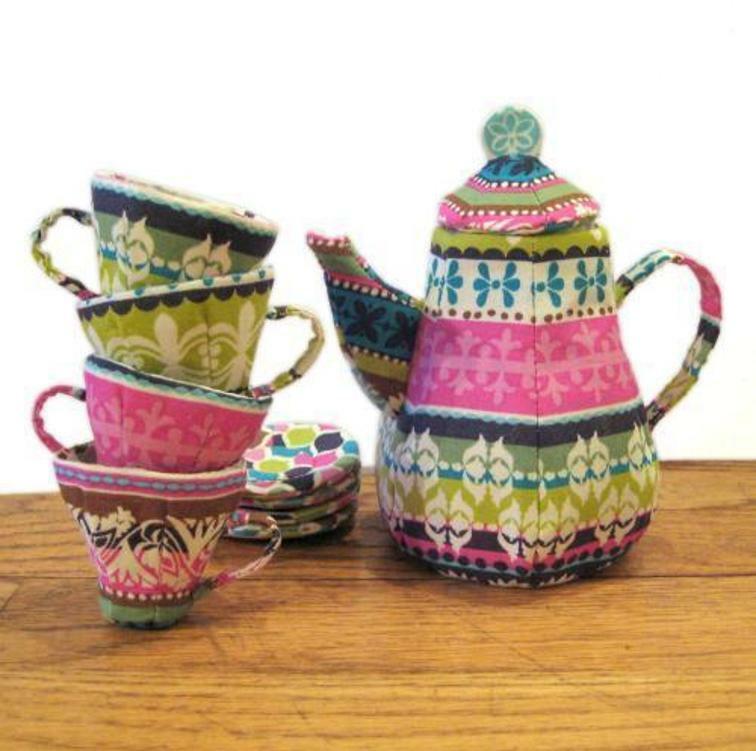 The tea set is entirely hand sewn. You might want to check this Quilted Tea Cosy FREE Sewing Tutorial.